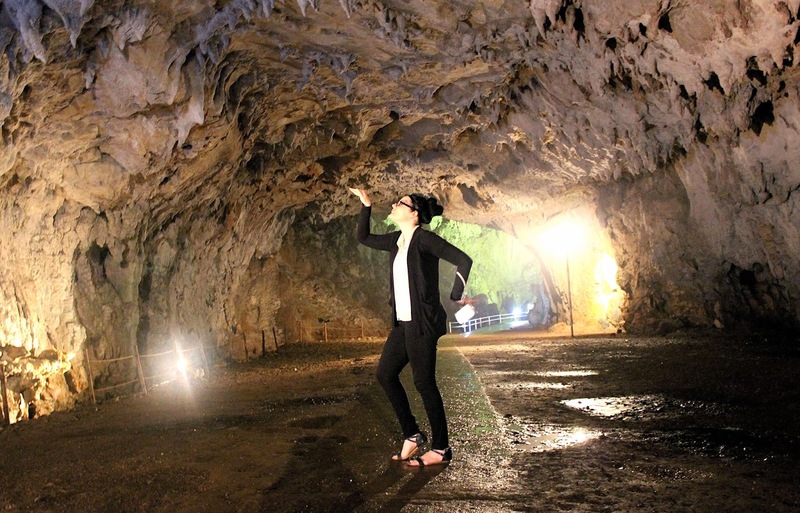 Three hours from my home in Shimane, and just across the border into the neighboring prefecture of Yamaguchi, are the largest limetone caves in Japan. 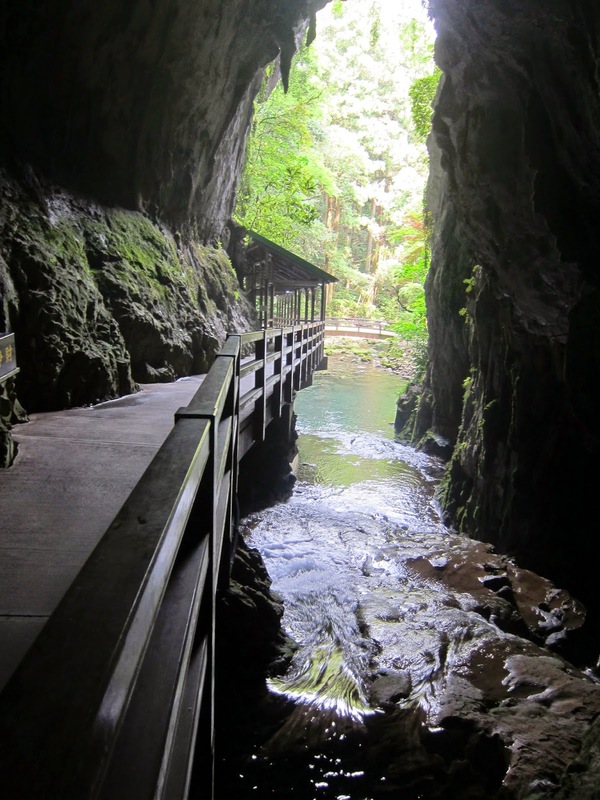 The largest of these caves is called Akiyoshidou, or Shuhoudou. Apparently the proper pronunciation for the cave’s name is Akiyoshidou, but when Emperor Hirohito visited the caves in early twentieth century, he mis-read the pronunciation of 秋芳洞, and said “Shuhoudou” instead of “Akiyoshidou.” Because the Emperor was revered as a god in Japan, incapable of making mistakes, the cave’s name was changed to Shuhoudou. 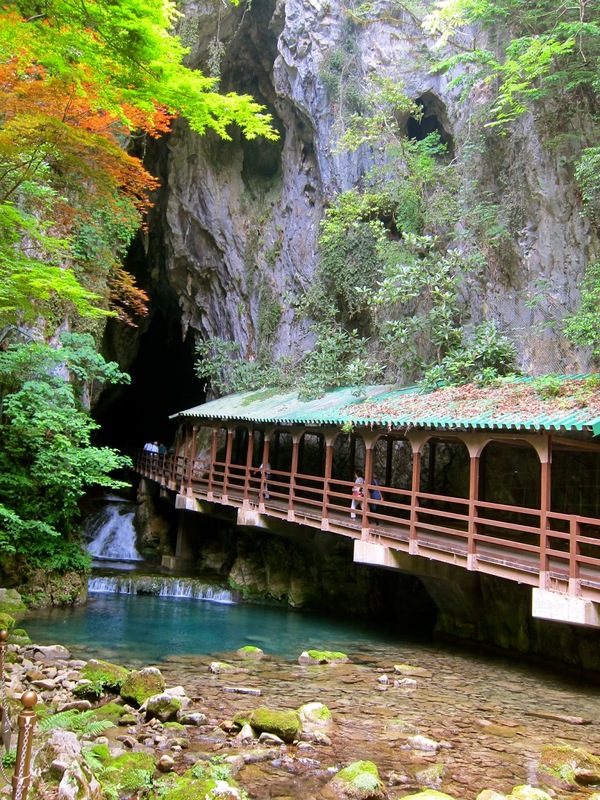 Visitors make a grand entrance beneath a waterfall and suddenly find themselves in a black cathedral. It was crowded when we visited, mostly with young couples and families. The presence of so many people made it impossible to feel the loneliness and darkness of being inside a cave. Instead I laughed at all the girls who were trying desperately to walk on the path’s uneven surface while wear platform velvet heels. The cave had many interesting points of observation, including a collection of small pools of water, which were called 100 dishes. 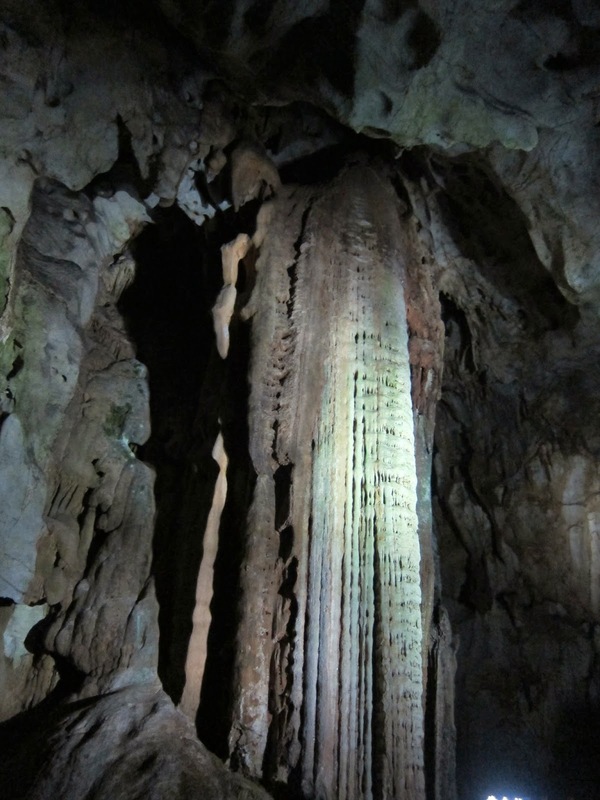 The main attraction of the cave was a ____ tall pillar, which resembles a church organ’s pipes. 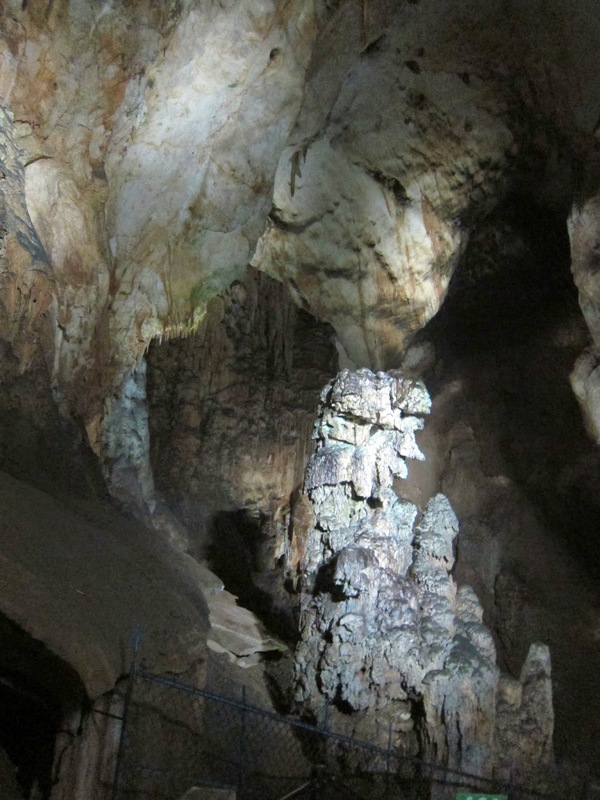 The black substance on the rocks in the cave is actually bat droppings. 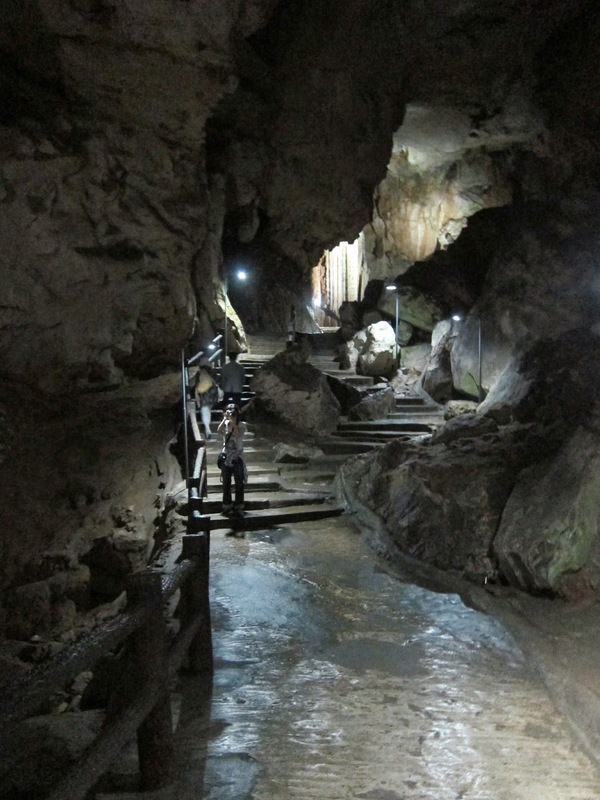 There are still several thousand bats that live in Shuhodou Cave, but the number has been steadily decreasing since they installed their first electric lamps in the cave in the 1920s. 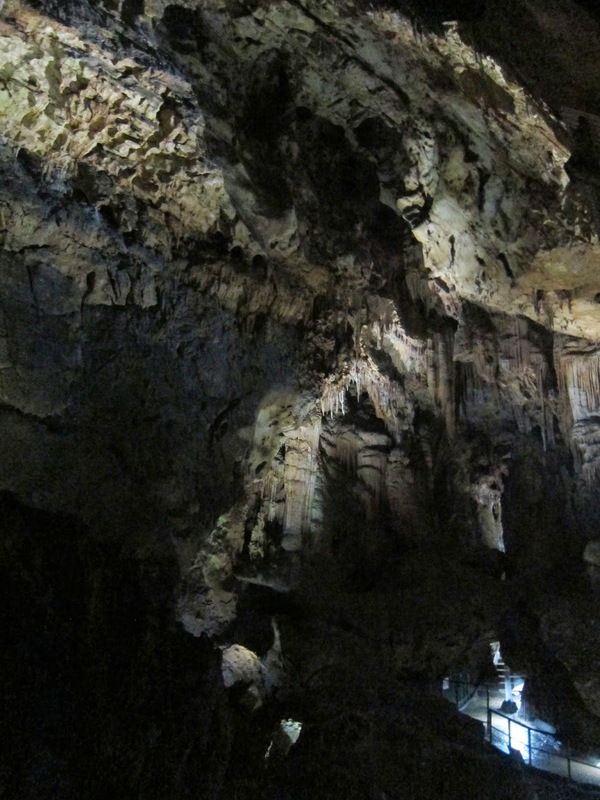 Kagekiyodo Cave is the another cave in the region, and my personal favorite. 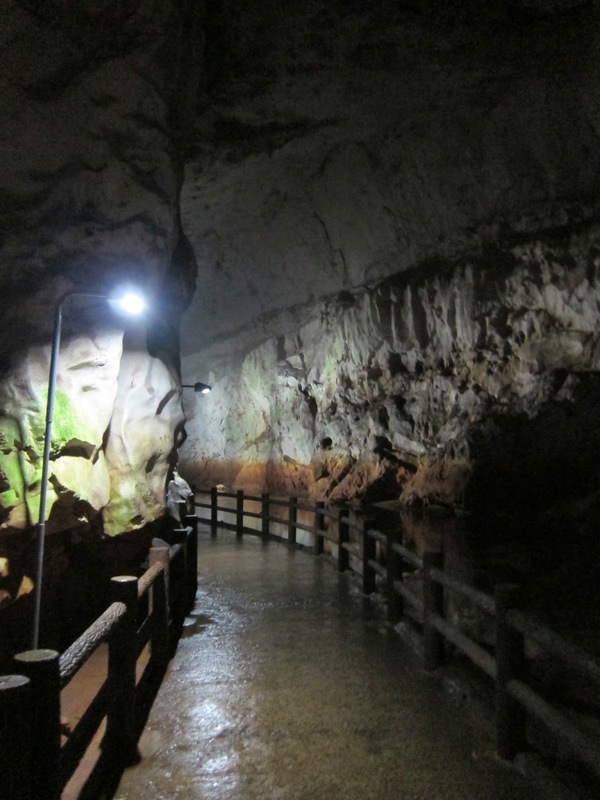 While both caves were clean, well-lit, had clear pathways, Kagekiyodo Cave was completely deserted when I visited. Instead of having to listen to the blaring recordings of cave facts from a speaker, I entered the cave in total silence. Until, that is, a heard a muffled chirping coming from the ceiling. I looked up and saw only dark shadows, but suddenly the shadows began to move in tiny swift motions. It was a colony of bats, hundreds or thousands of them. I was so excited to see bats since I had missed them at Shuhoudou. Although Kagekiyodo Cave is much smaller, it had a creepier atmosphere that made me feel as though I was on the set of Alien.